World firsts do not come easy!! 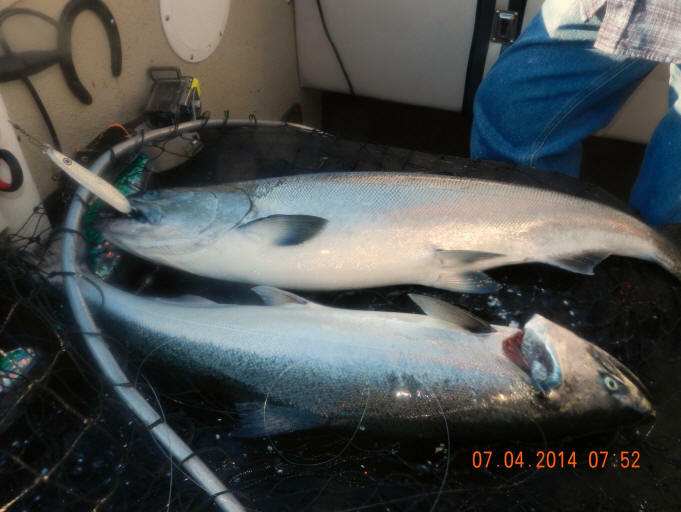 Making prototype 3D tackle at home, and having it catch fish has been a an exciting project. Hey, somebody has to do it first! 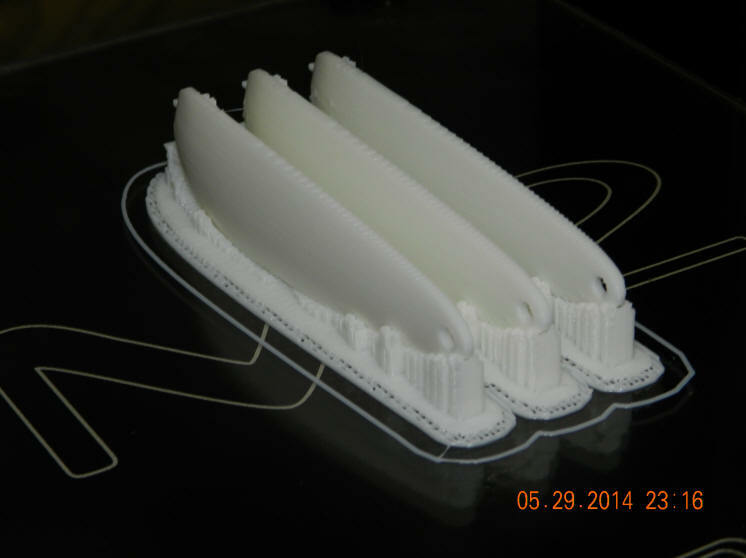 How many people do you know making spoons with a 3D printer? Then, go out on Lk. MI and prove beyond any shadow of a doubt, ...their spoons can catch fish? This was an incredible reel-challenge that summoned all of my tech savvy. Plus, my 46 years of chasing fish on Lk. MI all came into play. The prototype test phase took 6 months and well over 2000 hours! 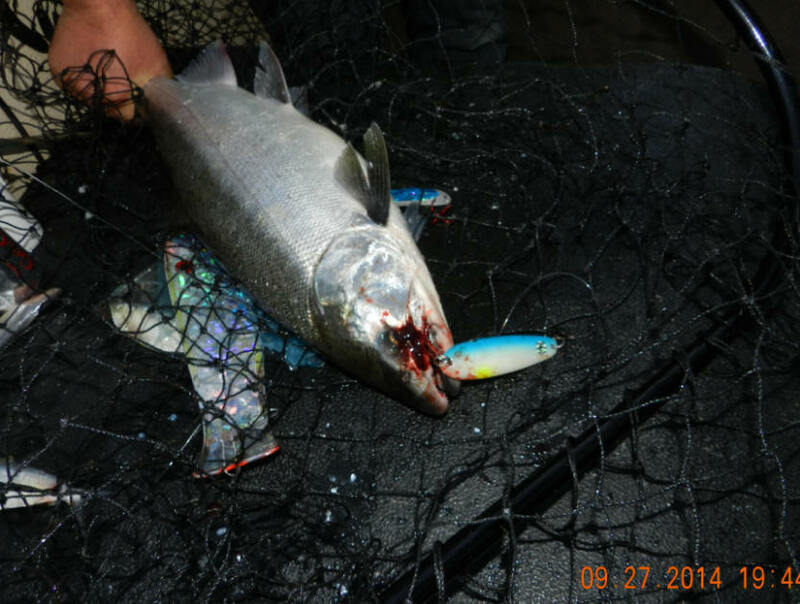 4.0 Salmon Buster™ spoon. Port of Manistee, MI on 9/25/14. I knew going in designing a brand new concept in spoons made out of the world's toughest plastic, Lexan™ was going to be the hardest job I've ever tackled. This was only possible by learning how to use 3D printing technology. The job was to create 100s of test spoons in a wide variety of thicknesses, shapes, sizes, hole placement, & geometry. Spoons that went into production are at least the 8th version when you add up the multitude of revisions that began in May of 2014 and was completed on October 13, 2014. 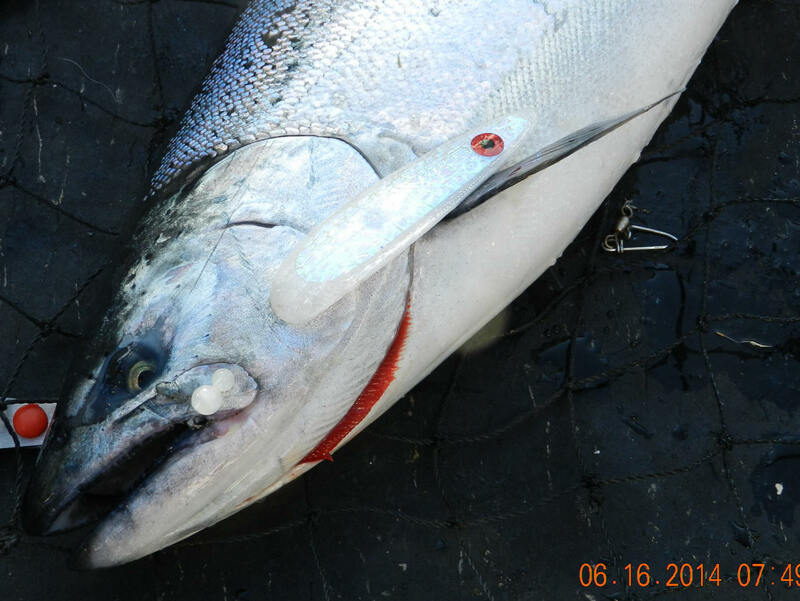 V3.5 TH 4.0 first time in the water on 7/4/14 we hit a double header around 8am. So, I knew right away we were onto a design that showed great promise. Big deal about a double header? ...not really. But in this case speed was 2.5 on the first hit and 1.3 on a dead slow-whoa troll while fighting the first King on a diver. Then, rigger went off while we were barely moving for trolling speed. The goal of having a spoon that works in a sweet spot from 3.0 mph to, at, and below 1.5 mph was verified and was on the right track in the early development stage. This was an alpha epiphany for yours truly! 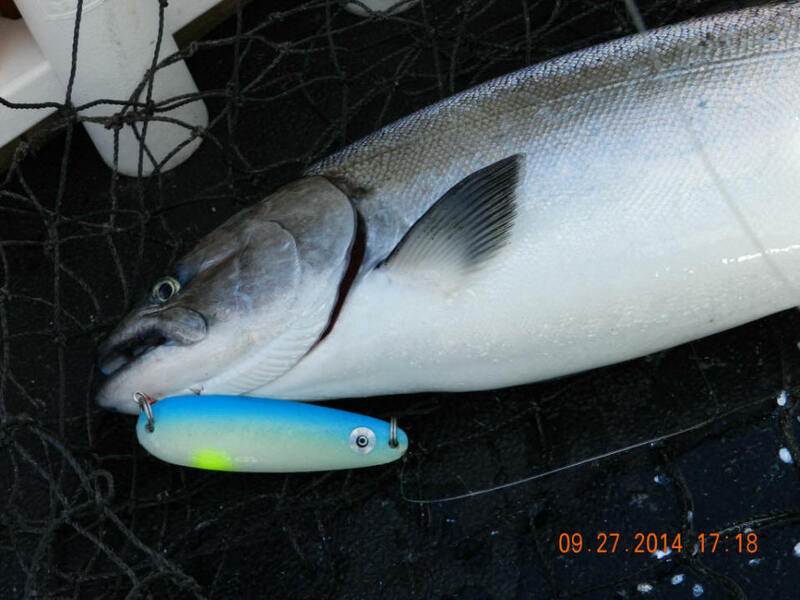 Performance on new Salmon Buster™ Lexan Spoons are off the chart when it comes to slower trolling speeds. Lexan, or plastic used is same as bullet proof glass and has a clear leg up in this area. Brass, the traditional choice in spoons in about a .030 thickness. Brass weighs 4 times as much as plastic, but my spoons are over twice as thick. End result is my spoons are about weight half as much. 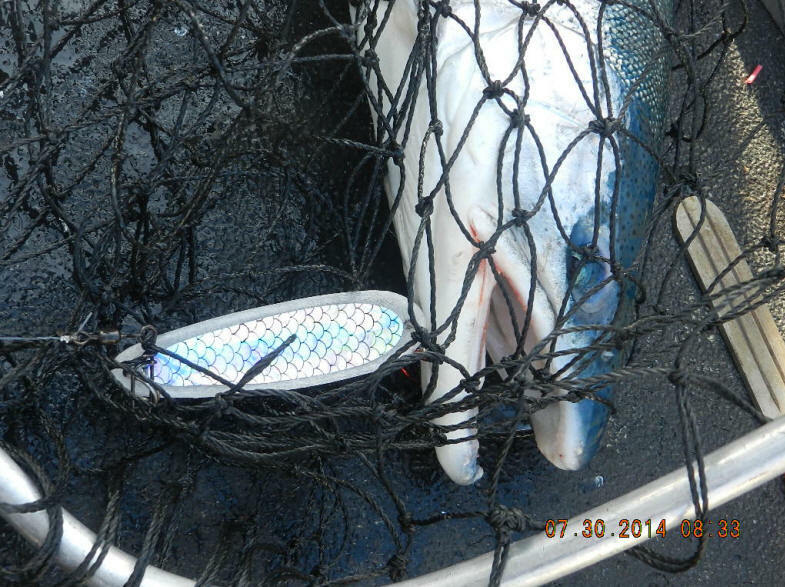 Salmon Buster spoons DO NOT stall out when you slow down to fight a fish, or allow traffic to clear. Having a spoon that works at slow, medium, and fast trolling speeds is one helluva a tremendous bonus. Especially, when the fish go deep when faster trolling speeds are totally out of the question. Due an exponentially increasing angle, or rigger wire carry back, or blowback the deeper you send the riggers down. Since July of 2003, my only method to fish was pulling meat. Although, I ran a lot of spoons when I was a charter skipper (1983 thru 2003) this was like going to another galaxy in 2014. OK, I had no problem remembering what used to work, but that was back then, not now? Coming up with color patterns, or selections was a blank slate. 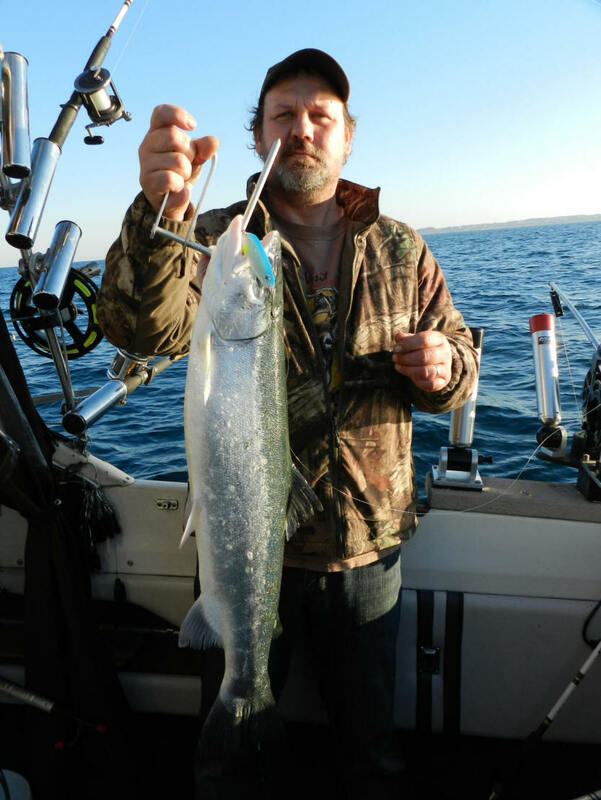 This led to old favorites like the Yellowtail and Bluetail proving their worth again. 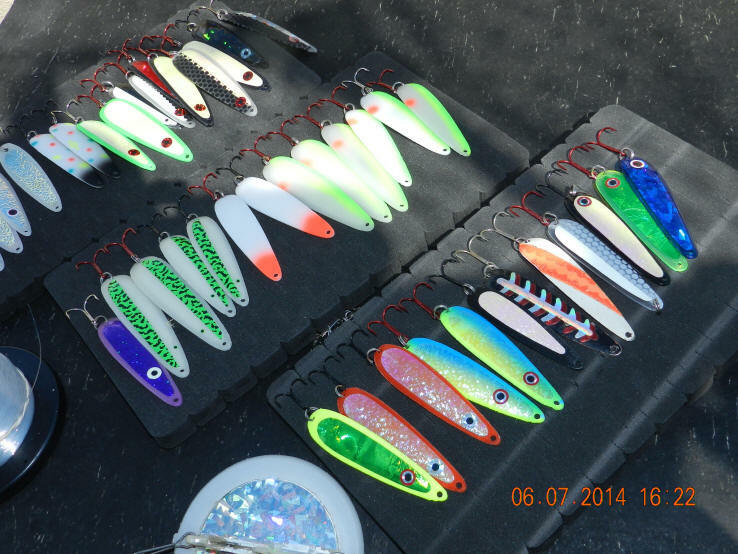 Along with more new current colors in my flasher/meat rig lineup, being Black Mamba, Krystal Killer, and SUV that let light transition thru the body of the spoon. Something that NEVER can be done with traditional solid metal bodied spoons! 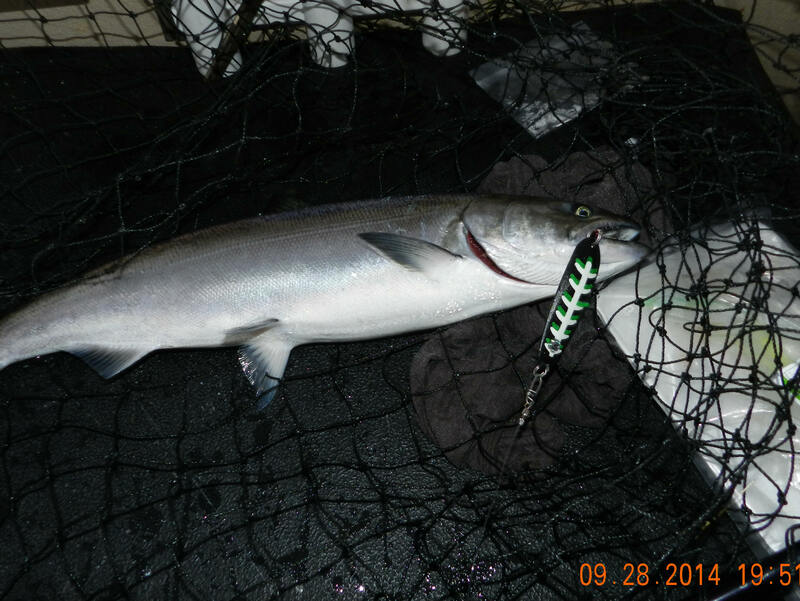 Next to conquer was preferred speed and having a spoon that would entice fish to hit from 1.2 to 3.0 mph. Speed is always a perplexing issue, but found 2.0 to 2.6 is where we got most of our bites and some between 3.0 to 4.0. Speed means underwater signature and how much water is being displaced, causing a fish's lateral line to become involved in the attack and feeding mode. My new spoons as proven in the videos move a lot of water by darting, diving in a constant ever changing more lifelike direction. The 4.0 and 4.65 have their own unique action so unlike ANY regular metal spoon that just go straight and just wobble. 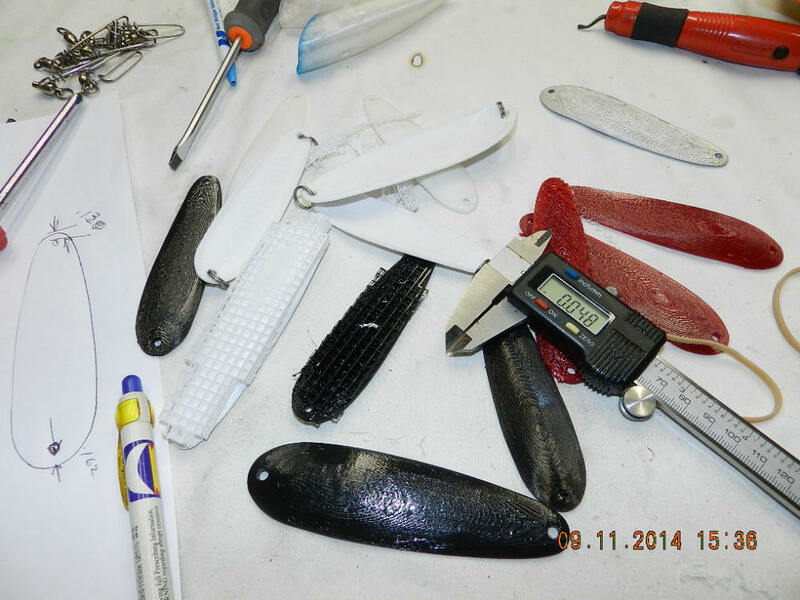 Fished with my home built 3D printed spoons from May into October 2014. There were various sizes and shapes tested. Version 5 is what went into production. The good news is the V5 4.65 is that it got bit 100' down and the V5 4.0 took fish at 90' down in what's normally attractor territory. So, it's a given this spoon displaces enough water to have a large underwater signature no matter what the depth is. Underwater signature is a fancy way to describe the appeal to the mega-sensitive lateral line on fish, used to home in on prey, or their next meal. This is important when I proved spoon colors can be transferred to my line of flashers and meat rigs™ and work with equal success! 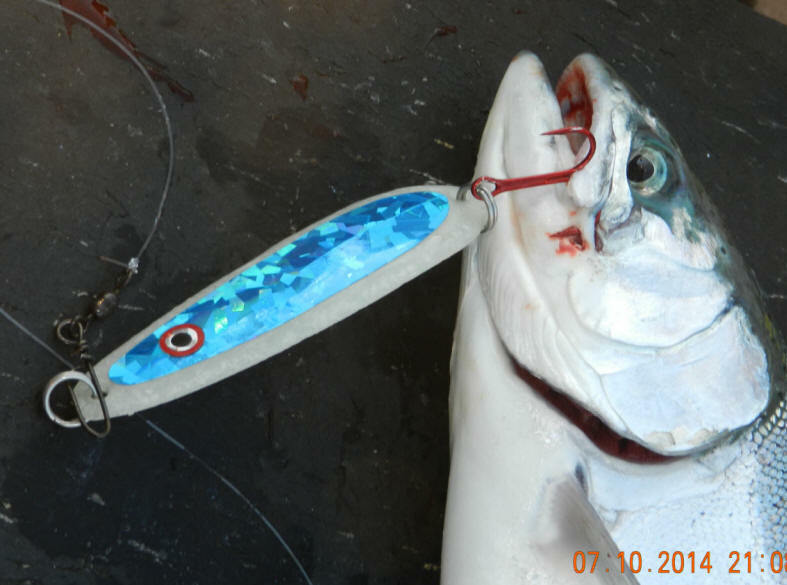 Transmutated cloned the prototype spoon colors of Manistee Mojo and Icy Blue patterns into flasher/meat rig™ combos. Mojo is SUV tape on top, over a black base with a sliver, hyper holo belly. Both of these spoon colors were responsible for P15's first double header on 7/4/14. 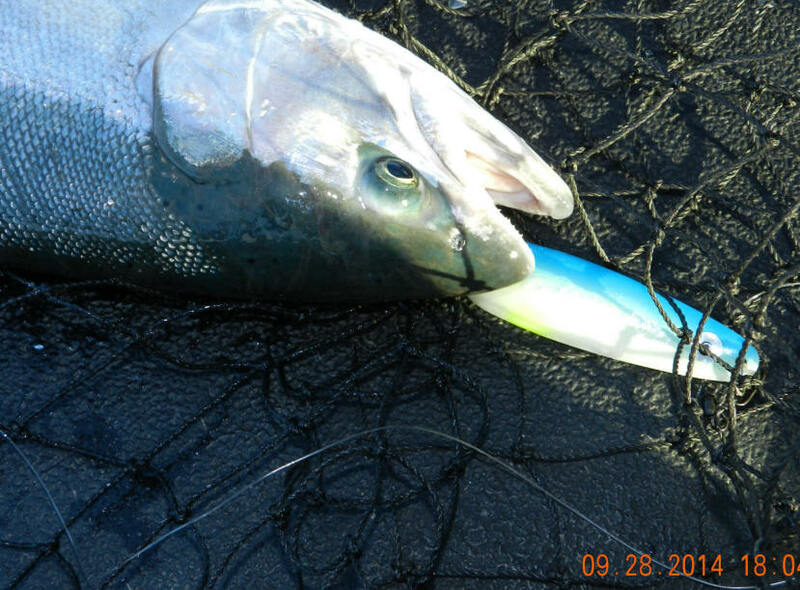 On 8/8/14 these to transplanted spoons colors to flashers and meat rigs™ proved their worth on 8/8/14 catching both Kings and Steelhead! 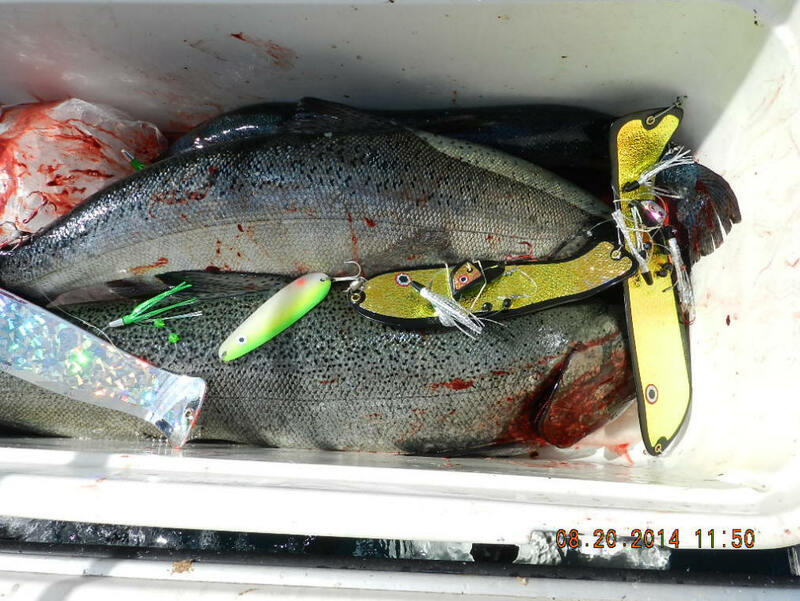 This is a big deal for the occasional fishermen that fixes the age-old difficult issue of what colors to run. 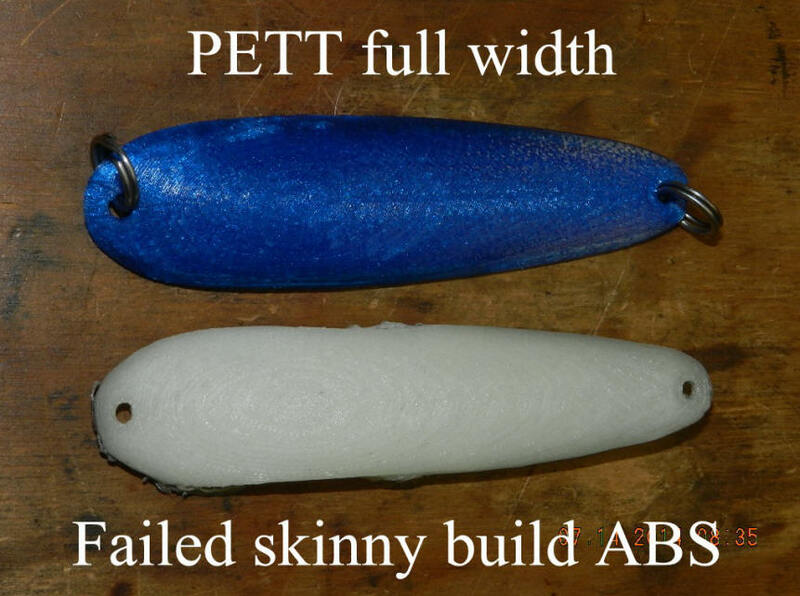 If you have a favorite, or hot flasher/meat rig color combo? ...the exact clone in a spoon choice is a total no brainer. This is another world first! 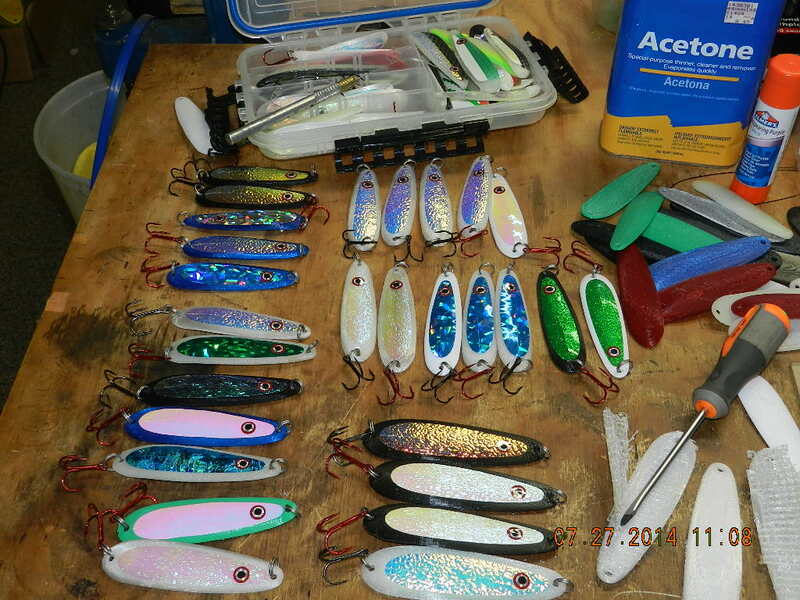 No attractor manufacturer has ever cloned their colors into spoons before. 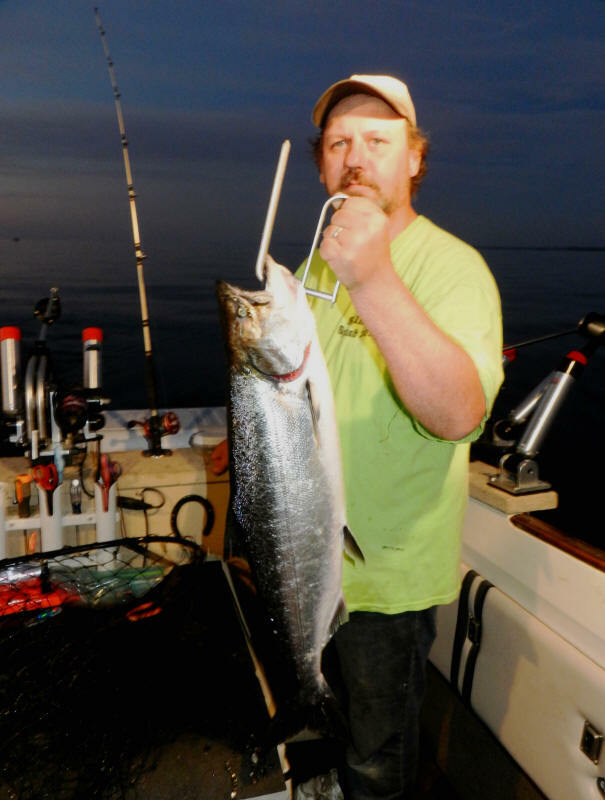 Salmon Buster spoon colors echo exact matches to my flashers and Meat Rigs™ that's been tested since 2004. 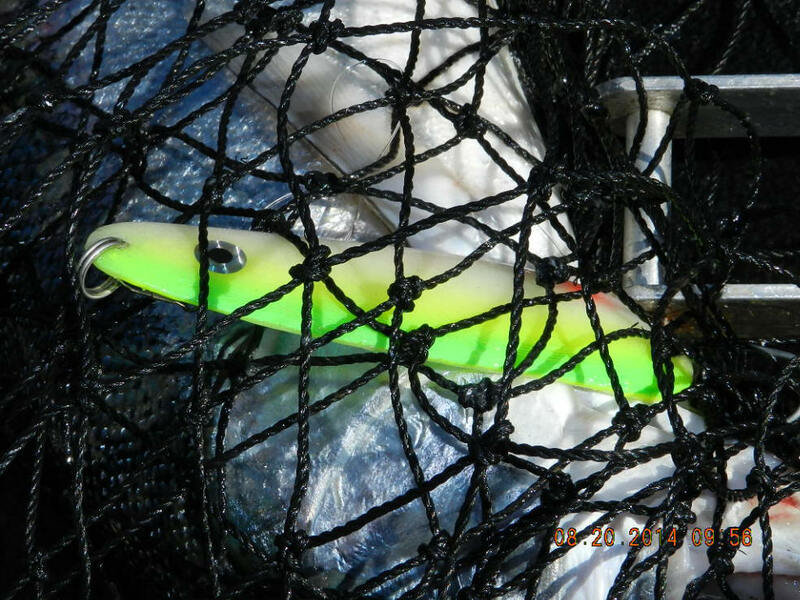 Glow colors in our ground breaking X-Glow that debuted in 2005, standard lure tape, and our industry leading super X-Glow. Our hyper-holo silver ice-chip tape is a cornucopia of dazzling patterns. Exclusive to my tackle lineup since 2011. 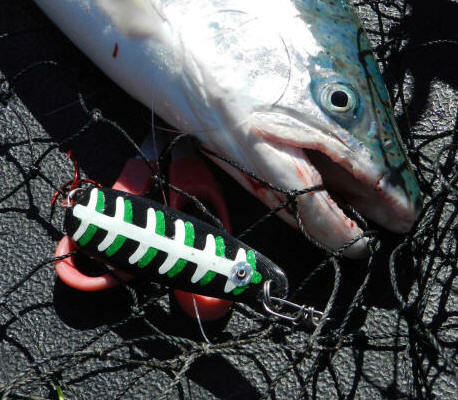 Salmon Buster spoons come in a variety of colors. Fluorescent base colors of green, blue, chartreuse, and red. All have daylight light gathering properties. Much like fiber optic rifle sights, the edge of the spoon illuminates as long as there's light available. 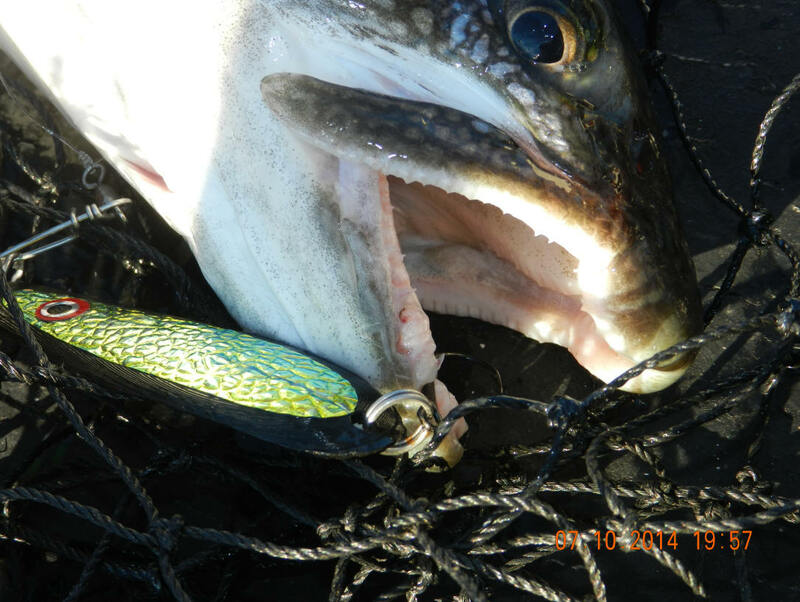 Proven super reflective, our hyper-holographic lure tape is a kaleidoscope of iridescent hues on a sliver background that must to be seen to be appreciated! This is the same lure tape that's on the top selling Super Silver Bullets and Super Mambas flashers, Meat Rigs™, and meat heads. 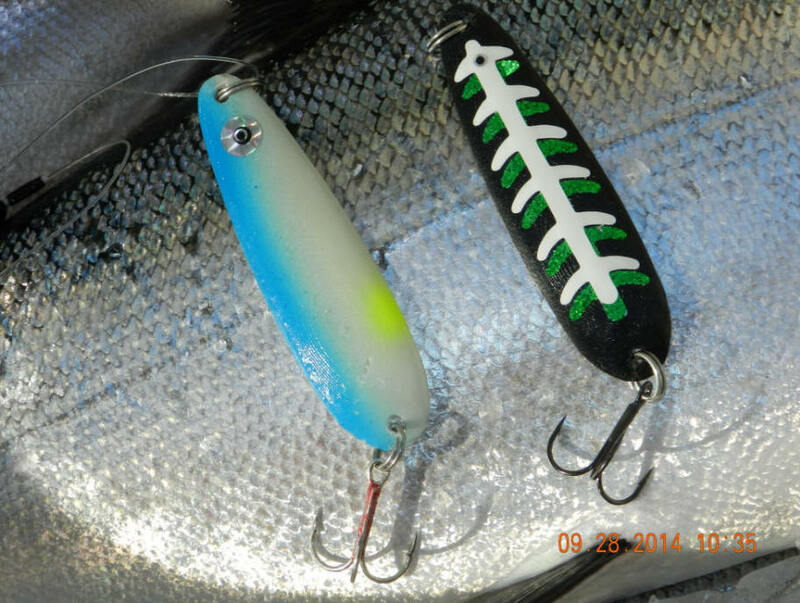 My new for 2015 spoons are available in 2 sizes. The 4.0 is the regular and the 4.65 would be considered a magnum by most. Unlike competitor's products, both sizes have the same wobble-wobble and lifelike darting action that's exclusive to my spoons. In the videos this darting action is plainly evident at speeds from 1.4 to 3.5 mph. 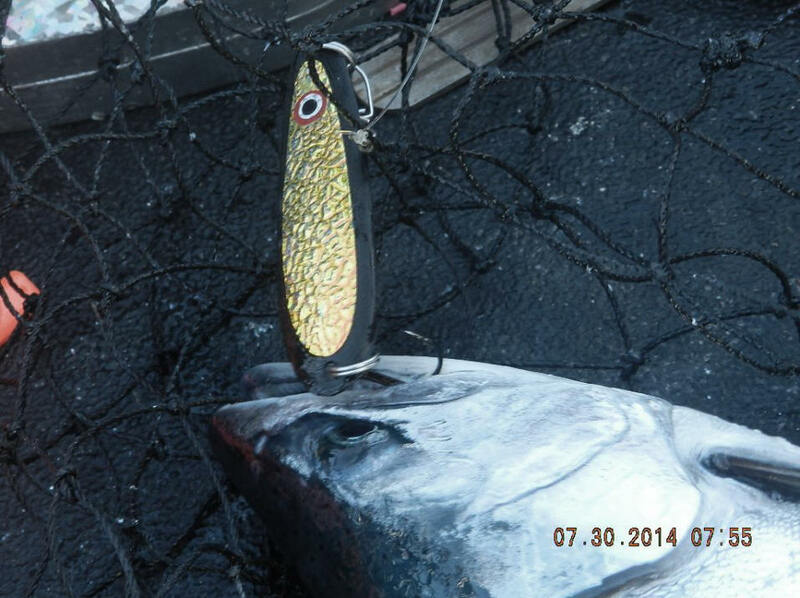 The unique reel-action to this spoon is due to it's light weight, geometry, and patented reinforced outer perimeter. I can say "unique" with total confidence, because we shot side by side videos against several popular spoon configurations from 5 other manufacturers.